In 2011 I began photographing and shooting video of small homes in Decatur, Georgia’s, Oakhurst neighborhood being torn down, carted off to landfills, and replaced by McMansions. This blog curates those pictures and sounds collected between October 2011 and November 2014. The destruction of Oakhurst house by house and block by block is being done by developers who offer McMansions — homes two or three times larger than the ones torn down and two or three times larger than neighboring homes — described as “historically inspired” or that “fit in with the vintage neighborhood designs of the early 1900s.” One Decatur builder guarantees the “utmost consideration for the existing neighborhood” by building new homes that “always complement as well as enhance the streetscape.” Decatur’s builders demolish historically authentic small homes and build historically inspired McMansions in a land use regulatory environment enabled by the city’s exclusionary zoning policies and by a city indifferent to the environmental and social consequences of gentrification. The posts in this blog typically pair photos from the 2009 citywide historic resources survey (City of Decatur) with images of homes being prepared for teardown; teardowns in progress; and, images of the faux Prairies, Hardieplank-clad foursquares, and plus-sized period revival homes built to replace them. Decatur sells itself to the world as a city with history that it respects and as a forward-thinking community determined to become sustainable in the 21st century. Its policies, however, are at odds with its official sales rhetoric. All material unless otherwise indicated is © D.S. Rotenstein. All rights reserved. Photos from the Decatur Historic Resource Survey are attributed to the City of Decatur (2009 Citywide Historic Resources Survey). This site was created in 2012 and was updated through November 2014. Decatur is becoming a yuppie ghetto, inhabited by those convinced they are being responsible. I, for one, am happy to see the new phase of gentrification, and hope it will inspire other se decatur neighborhoods to follow soon ! Some people get WAY too critical of success. Usually, they are ‘lieberal elitists’ and they are profusely represented around there, especially on over into Druit Hills. Maybe they’ll decide your home doesn’t fit in and tear it down. They might need the land to expand a McMansion, or change the design of the road to allow for more McMansions. They might just decide they want to gentrify your neighborhood and fill it with people who can spell. Also, it’s one thing for people to buy a house then make changes or for people who have lived in a house to make changes but for builders who don’t or won’t have to live in the community. . . to come in and build the biggest house possible in order to make as much money as possible without understanding the needs or dynamics of the neighborhood is something else. There’s something wrong with that. For example, I know if taking down a tree will wreck my neighbors privacy or utility bill or if she wants me to because she’s afraid it will fall on her house and has been begging me. . . But a builder doesn’t. And doesn’t have to live with the consequences. 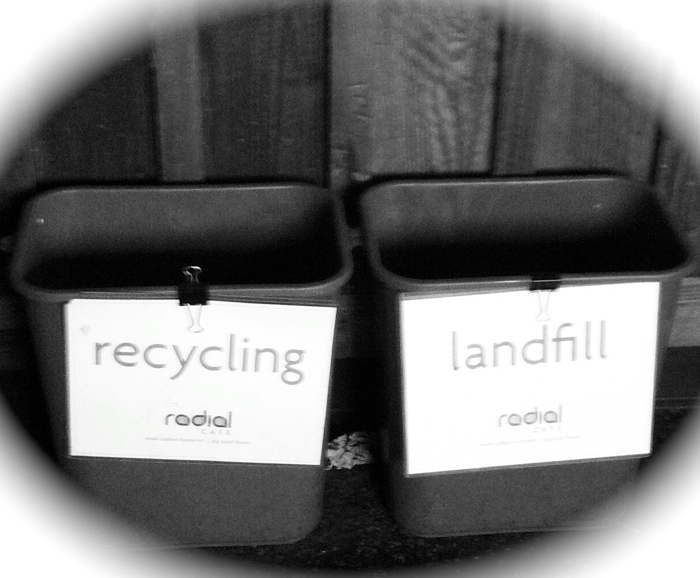 Recycle bin or landfill bin? 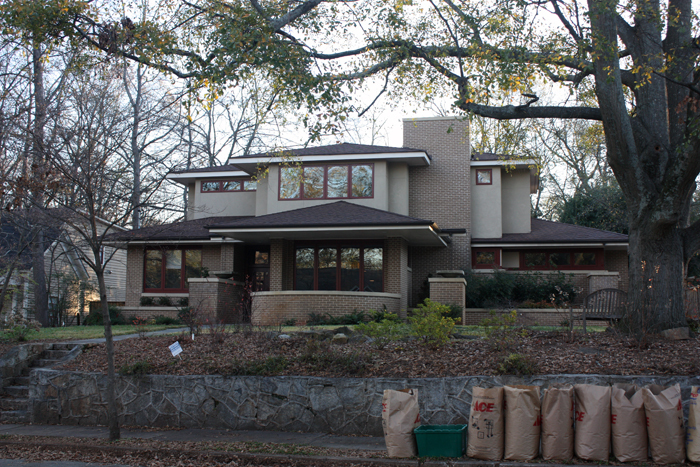 Decatur's Oakhurst neighborhood prefers sending single-family homes to the landfill bin rather than the recycle bin.